“Where can I find a quiet spot to work?" It’s a question we get asked almost every day here at Halifax Central Library—especially during exam season. Some days, it’s an easy question to answer. Other days, it can be tricky to find that ideal workspace for study and concentration. Unlike the silent public libraries of the past, Central Library is a place that often encourages a little (or a lot of!) noise. We host programs that send music floating through the atrium to the upper floors, our children’s area is made for lively play, and we even have a Friday afternoon teen program called It Might Get Loud. 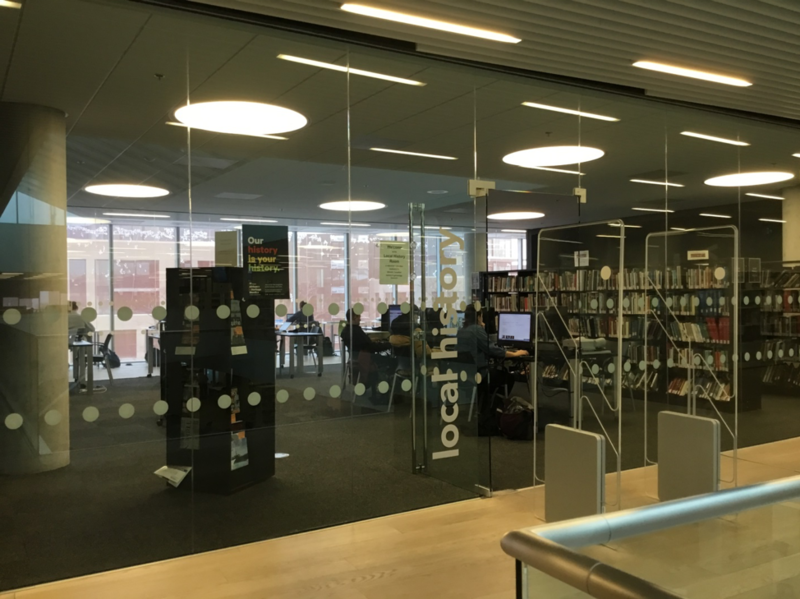 We love being a vibrant hub for our community, but we also aim to meet the needs of those who still want to use the Library in a more traditional way to work, read, or study. Here are some of my favourite tips for those looking for a quiet spot in our not-so-quiet Library. 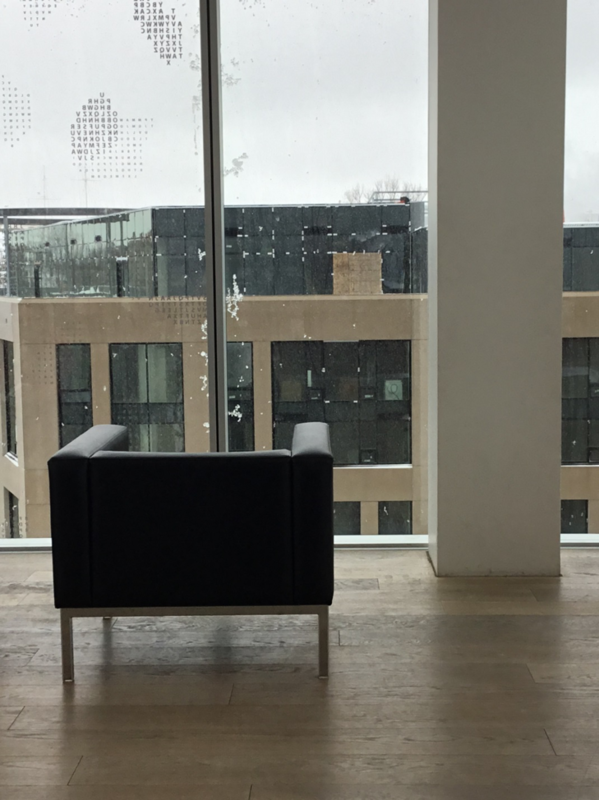 Since Central's opening 4 years ago, its spaces have each evolved to their own unique culture. 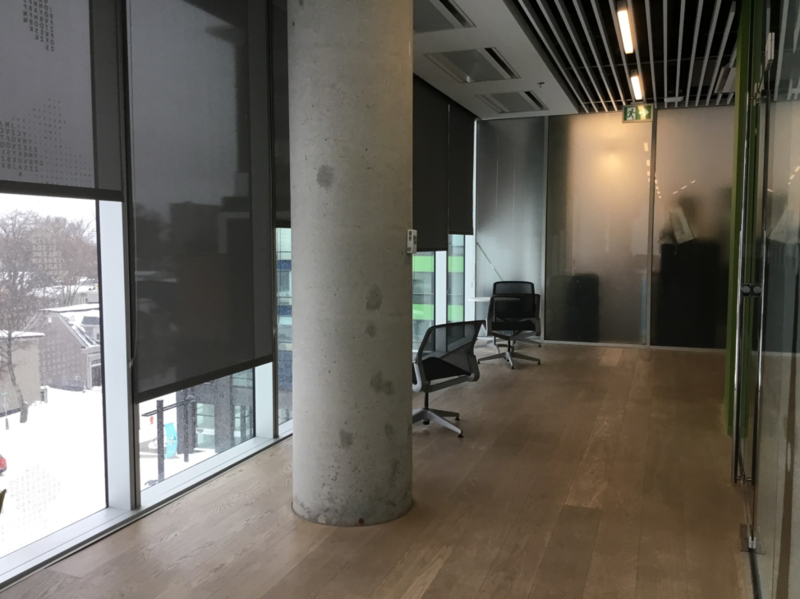 Along with its stunning views and bright, sun-lit spaces, the 5th Floor is often one of the quieter areas of the building. 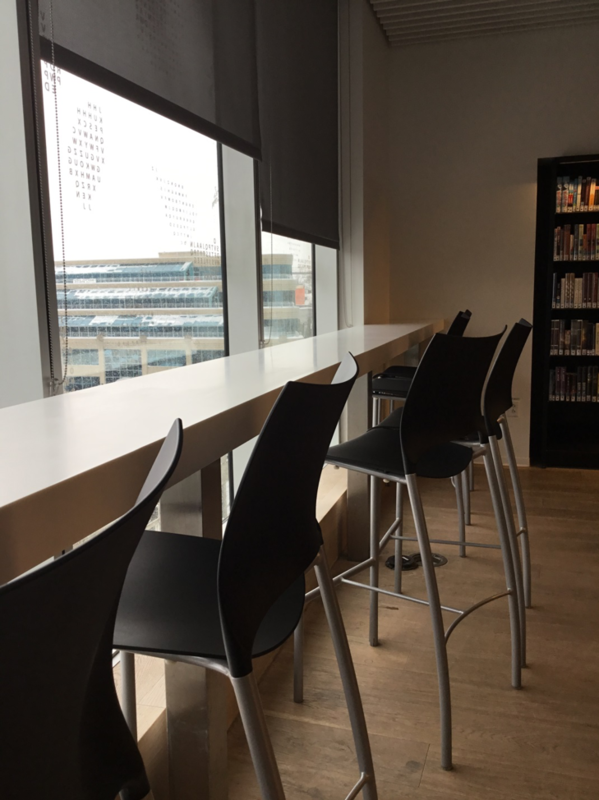 While there is some conversational noise in the café, the “Living Room” which overlooks Spring Garden Road is usually used by our community for quiet reading. Since it is the only floor that does not open into the atrium area, the 5th Floor is a great place to go if there is a concert going on in the Library that you prefer not to hear. Insider tip: Try out the lovely counter-top work area against the window hidden behind the General Fiction bookshelves. 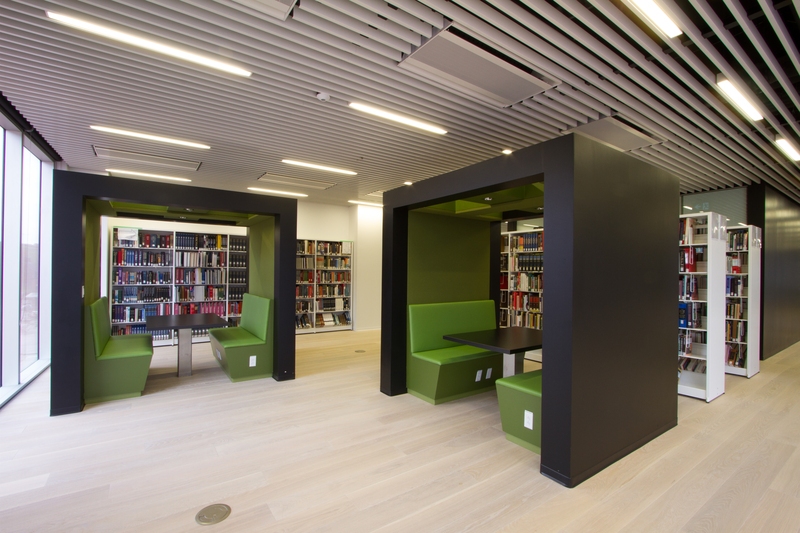 The north and south ends of the 4th Floor of the Library are also popular study areas. At the north end, you will find individual tables perfect for setting up your laptop. At the south end, there are comfy couches for reading, and large tables that can be used for groups. Another quiet space you may not know about is the Local History Room. This room features some of our local history reference collection, and also houses public computers, microfilm readers, and work tables. Located right above the 2nd Floor Teen area, the 3rd Floor is usually one of the livelier areas of the Library and often not the first place you might want to head for quiet study. That said, the 3rd Floor is home to one of my very favourite “hidden gem” quiet areas in the Library. If you head down to the south end of the building, and go behind the large program room, Room 301, you will find a nice little row of café-style tables paired with very comfortable mesh chairs right beside the window. This spot is again shielded from the open area of the Library, and with its southern exposure, it’s also a great place to soak up some sunlight on a colder day. If you’re a quiet library lover, try planning your visit to Central Library at one of our less busy times. During the week mornings before 12:00pm and evenings after 6:00pm can often be a good time for studying. Weekends are very hectic and full of Library programming, which can raise traffic and noise levels quite a bit. Consider checking our program listings before your visit—if you see a large group like the Stadacona Brass Band scheduled to play, you can be pretty sure you will hear them throughout the building during their performance. Central Library offers free, same-day bookings for Room 302 and the Windsor Foundation Room. 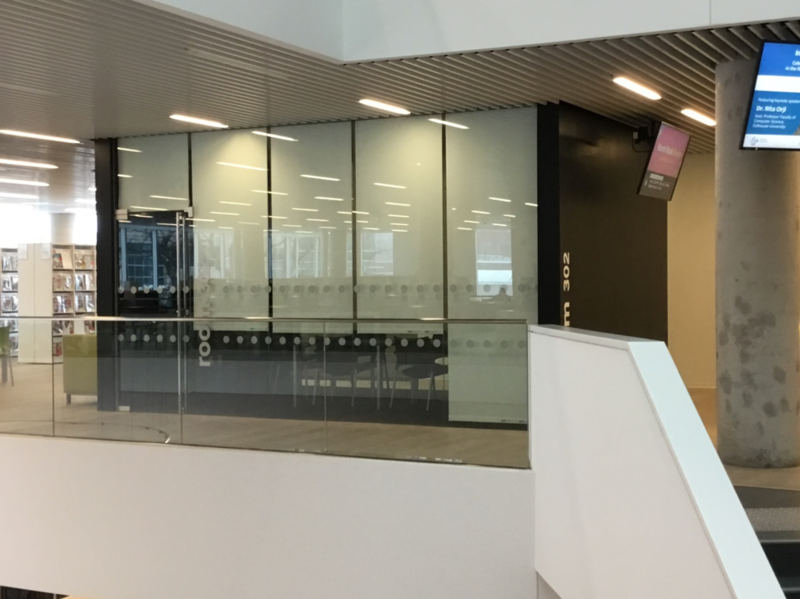 Although the 2nd Floor is dedicated to children and teens and is often not the best place for studying, we do have several program rooms on that floor that can be opened up for use when study space is short and no programs are taking place. If you are having trouble finding a spot to sit and work at the Library, you can always talk to any of our staff who will be happy to see if one of the program rooms is available for use. I can’t promise that these spots will always be quiet or always have seating available, but they are my best suggestions when I get asked, “Where can I study?" Leave us a comment below if you have other places you’d like to recommend to your fellow library users, either here at Central Library or beyond. And good luck on those exams!